Our firm has spent the past year helping clients structure, set up and launch innovative investment fund structures specializing in investments in blockchain, ICO and cryptocurrency assets. Drawing on our practical experiences, we have developed a pragmatic list of fifty considerations for those interested in setting up a Cayman investment fund to invest into these asset classes. This list contains answers to the questions we are asked on a daily basis. 1. Cayman’s existing legal framework provides the flexibility to allow cryptocurrency strategies and technologies like blockchain to thrive. 2. Cayman has a tech city which allows blockchain companies to set up a physical presence in Cayman. The tech city is a component of a special economic zone providing companies with access to a streamlined business licensing process, inclusive of trade certificates, employee work visas, and physical office space. This tech city is increasingly becoming home to companies developing blockchain and crypto technology. Businesses can be set up and be operating in their Cayman office in the tech city within 4-6 weeks. 3. Fund entities (in or outside the tech city) can be established quickly in the Cayman Islands, usually within one business day if required, and without the need for any prior governmental approvals. 4. Cayman companies have few ongoing filing requirements and relatively low government fees on company registration and annually. 5. The Cayman Islands is a tax-neutral jurisdiction: it has no direct taxes of any kind. There are no income, corporation, capital gains or withholding taxes or death duties. In addition, a company can apply (for a fee of course) to the government of the Cayman Islands for a written undertaking that, should any applicable taxation ever be introduced in the Cayman Islands, it will be exempt from of direct taxation, for a minimum period of 20 years (and such certificate can be renewed at the end of that period). 6. There are no exchange control restrictions or regulations in the Cayman Islands. This means that funds can be freely transferred in and out of the Cayman Islands in unlimited amounts. 7. There is no requirement that a company incorporated in the Cayman Islands should have any of the shareholders, directors or officers residing in the Cayman Islands. Nor is there any requirement for local service providers, other than for a Cayman Islands registered office. 8. Except in the case of entities regulated by the Cayman Islands Monetary Authority (“CIMA”), there is no requirement to appoint an auditor, or to produce annual financial statements. 9. There is no requirement under Cayman law that any meetings of the board of directors be held in the Cayman Islands. The board of directors can be comprised of a sole director (unless the entity is regulated by CIMA, where a minimum of two directors are required). No officers are required by law, although it is almost always convenient for a company secretary to be appointed (this service is ordinarily provided by the registered office). 10. Should they be required, Cayman has an excellent network of service providers supporting its fund industries; leading world and regional law firms, specialist fund administrators, the “big four” accountancy firms, registered office providers, independent and specialist directors and one stop service providers for CRS and tax reporting requirements are based in Grand Cayman. 11. There is no requirement that a company incorporated in the Cayman Islands should have a Cayman based investment manager. However, the Cayman Islands Securities & Investment Law (2015 Revision) (“SIBL”) provides a light-touch regulatory regime for Cayman based investment management companies that are tax-neutral and need not have employees. The fund manager can also hold the voting controlling shares in the fund and take management and performance fees on a contractual basis, being subject ordinarily to the terms of an investment management agreement. Who wants a Cayman Crypto Fund? 12. The flexible legal framework in Cayman means that fund vehicle can be tailored to meet onshore tax requirements, investor preferences, the number of investors, the investment strategy, fund liquidity, fees and the frequency and nature of investor returns. This makes Cayman an attractive option both for the more traditional fund managers and for individuals with significant expertise in cryptocurrencies and blockchain technology (irrespective of their own track records at managing external capital). 13. Existing Cayman funds with investment strategies that allow them to diversify can bolt on investments in crypto assets such as blockchain technologies and cryptocurrencies to their existing strategies. This will allow an exposure to this type of assets within an existing structure. 14. Managers who want to ring-fence their exposure to this asset class can establish an investment fund with an investment strategy that is solely focused on crypto assets. Cayman’s segregated portfolio company is an umbrella style vehicle that permits the segregation of various crypto investments into different portfolios, the assets and liabilities of which are entirely separate from those in another. This is useful to managers who want to invest into an ICO, into bitcoin and also into a token offering while isolating the investment risks associated with each strategy. 15. Start-ups, friend and family office funds and those with one key HNW investor may favour a Cayman section 4(4) ‘exempted’ fund. This type of fund permits redemption by investors and is limited to 15 or fewer investors. The fund does not need to be registered with the CIMA and is not required to produce annual audited financial statements, reducing operating costs. An exempted fund can be converted into a CIMA regulated mutual fund as it grows beyond 15 investors. It is a fund suitable for investment into relatively liquid mainstream cryptocurrencies, or where liquidity is required to pay out existing investors periodically. 16. Investments in tokens and ICOs are often illiquid and result in long exposures for investment managers. Here, managers looking to invest in these assets may look to Cayman for a ‘closed ended fund’. This type of fund is not regulated by the Mutual Funds Law (2015 Revision) (the “Law”), meaning that there is less regulatory oversight and reporting. Generally speaking, a fund that does not allow investors to redeem out within the first three years is regarded as ‘closed ended’, meaning that it is not subject to CIMA’s jurisdiction and the obligations imposed by the Law. 17. Managers looking to raise funds for investments into cryptocurrencies and into blockchain technologies both from investors that are based stateside and from offshore non-US taxable investors will look to the Cayman Islands to establish a Cayman ‘master fund’ and a Cayman Islands ‘feeder fund’ for non-US taxable investors. An onshore US feeder can be established for US taxable investors. Once investors have committed monies to the feeder funds, those funds can then both invest into the master fund, which will in turn allocate its capital to the investment objectives. 18. With many global digital asset and virtual currency exchanges preferring offshore counterparties, managers of domestic funds also find themselves establishing Cayman Islands vehicles to facilitate trading. 19. In structuring a Cayman fund, there are a few key issues that need to be addressed in order to determine the suitable fund vehicle and to determine its regulatory status in Cayman. This section looks at the key information that needs to be provided to legal counsel at the start of a project. In most instances it has been assumed that the Cayman entity will be an exempted limited company or a segregated portfolio company, since these are the structures most favoured by our clients for investment into crypto assets. 20. Any onshore tax requirements that may determine the structure should be disclosed. Identifying the location of investors will assist with this process. 21. The types of investors should be identified. Family and friends are less likely to be concerned about regulatory and monetary authority oversight than institutional investors. 22. The number of investors in a Cayman fund may have an impact on the choice of suitable vehicle. As mentioned above, an exempted fund may be favoured where there are 15 or less investors, having less regulatory and reporting requirements then a fund that is CIMA regulated. This is only relevant where investors may redeem out of the fund periodically. 23. The nature of the fund’s investment strategy may impact the choice of fund vehicle. For example, if the portfolio is highly diversified an umbrella/segregated portfolio structure might be most appropriate. 24. Whether investors can redeem out or withdraw from a fund and the existence of a lock in period may impact the fund’s regulatory status. Closed ended funds are not regulated by CIMA. 25. The minimum investment amount per investor is relevant. Funds that are regulated by CIMA will ordinarily have a minimum investment amount of USD 100,000. There are exceptions to this minimum amount, but they do not often apply in this context. How will investors be subscribing? In fiat or with cryptocurrency? Will there a subscription fee payable? 26. The frequency of subscriptions, redemptions and payments of management fees will be significant factors in determining how often a fund needs to be valued. If the fund requires a net asset value of its shares to be calculated before any of these actions can be taken, then the fund administrator will need to calculate its net asset value on each and every dealing day. 27. How funds will be returned to investors is an important factor to consider upfront. Will they be receiving dividends when an ICO exits, redemption funds at the end of a fixed term, or redemption funds when they chose to exit the fund? Will there a redemption fee payable or a redemption penalty for early withdrawal (if applicable)? 28. What management and performance fees will be charged by the investment manager? How frequently and how will they be structured? A manager cannot, for example, guarantee funds will be available to take a management fee annually throughout the lifetime of a three-year closed ended fund that has invested all of its monies into crypto assets that may or may not exit throughout the investment period. 29. How will the fund’s crypto assets be valued? Some tokes and coins do trade on exchanges, but they are volatile assets. Many crypto assets aren’t listed on exchanges and price quotations will not be readily available. In such cases the valuation policy will need to outline how these investments will be valued and by whom. Even if, as it will be in many cases, it will be a matter of good faith valuations by the investment manager. Consideration should also be given to how illiquid assets will be handled. 30. Who will the fund’s service providers be? Doing initial due diligence on service providers pre-appointment, so that the fund directors and the manager have the confidence that their service providers are equipped to service a fund with crypto assets, is vital. Ultimate responsibility and liability for the performance of outsourced fund services rests firmly with the directors of a fund under Cayman law. 31. Other than the registered office provider (this is the entity that deals with incorporation, payment of annual fees to the Registrar of Companies, maintains the corporate registers and minute book, deals with mail and usually acts as company secretary), most service providers need not be based in the Cayman Islands. 32. There are advantages in working with a suite of service providers who often work together and who have experience in providing assistance to funds with crypto assets on their books. 33. Only a handful of banking institutions will provide services to investment funds investing in crypto assets. Some of these banks will only work with designated administrators and auditors. 34. Certain administrators require annual financial statements to be prepared even if a formal audit is not required by law. If a manager is accepting crypto assets as in-kind subscriptions, then it becomes very difficult for a fund administrator to check the source of that subscription. Many administrators are demanding the investment managers of funds accepting in-kind subscriptions do full anti-money laundering due diligence checks on investors themselves to verify their identity and source of funds. Not all auditors are comfortable supporting crypto asset funds, but many will consider a project further if a reputable administrator is appointed. 35. If a fund intends to buy cryptocurrency itself using a digital wallet it will need to consider whether it will place the cryptocurrency into secure cold storage locations. Some managers choose to self-custody on their own hard drives. Where an auditor is appointed it will want to know the fund’s custody position, and what back up measures, internal controls and security measures are in place to protect encryption keys. 36. Key documentation should be identified upfront. The fund’s incorporation documents (its incorporation certificate, memorandum and articles of association and company registers) will be required by most service providers before formal instruction. Written agreements will need to be in place with all service providers (including services agreements with any independent directors), and letters of consent must be obtained from auditors and administrators prior to any CIMA registration application. In most cases an offering document, accompanied by subscription documentation and due diligence documentation, will also need to be prepared. Most institutional banks will want to see all of these documents before opening accounts in the name of the fund. Will the Fund Be Subject to Regulation by CIMA? 37. Cayman Islands ‘mutual funds’ are subject to the provisions of the Law. Responsibility for the regulation of Cayman Islands mutual funds rests with CIMA. 38. A Cayman Islands mutual fund is any company, unit trust or partnership which issues equity interests redeemable at the option of the investor, the purpose or effect of which is the pooling of investor funds with the aim of spreading investment risks and enabling investors to receive profits or gains from investments. 39. Funds that provide no redemption or repurchase rights to investors (i.e. closed-ended funds) are not regulated mutual funds in the Cayman Islands. Debt issues are not regulated mutual funds in the Cayman Islands. Many ICO issuers issuing coins or tokens will not be a mutual fund on the basis that their tokens do not carry redemption rights. 40. Certain exemptions from regulation by CIMA are contained in the Law. These include exempted funds, where the equity interests are held by not more than fifteen investors, the majority of whom are capable of voting together to appoint or remove the directors of the fund. 41. Most investment funds that fall within the definition of a mutual fund do not need to be licensed with CIMA, but they do need to register with CIMA as a section 4(3) mutual fund. In such cases, a prescribed form and a copy of the current offering document of the fund need to be filed with CIMA along with an application fee for registration. 42. Section 4(3) mutual funds have ongoing compliance obligations with CIMA, including the payment of annual fees to CIMA and the submission of audited financial statements (signed off by a local auditor). 43. Section 4(3) mutual funds must keep a copy of the current and up-to-date offering document on file with CIMA. The offering document must contain disclosures in it that describe the equity interests in all material respects, and must contain such other information as is necessary to enable a prospective investor in the mutual fund to make an informed decision as to whether or not to subscribe for or purchase the equity interests. This means that funds investing in crypto assets must make extensive disclosures to investors about the risks inherent with such investments. Service providers will want a hand in the drafting of these disclosures as they pertain to the services that they provide. 44. SIBL regulates those Cayman entities (only) who carry on or purport to carry on securities investment business. The carrying on of securities business is prohibited unless that person holds a license granted under SIBL or is exempt from holding a license. Managing an investment fund with crypto assets it generally classified as securities investment business. The definition of securities in the law includes coins and tokens. However, in most cases Cayman-based investment managers are classified as ‘excluded persons’ under the law on the basis that they provide investment advice to sophisticated investors. Such excluded persons can meet their statutory requirements by paying an annual fee and submitting a simple annual filing to CIMA. Ordinarily, the Cayman-based registered office provider will liaise with CIMA on behalf of the investment manager. 45. All Cayman investment funds must comply with the Anti-Money Laundering (AML) Regulations (2017 Revision), which require the fund to obtain customer due diligence information, including source of funds and identification of beneficial owners, in respect of both the initial purchaser of the interests and subsequent transferees. All Cayman funds must also appoint a natural person to act as the AML compliance officer (“AMLCO”), the money laundering reporting officer (“MLRO”) and the deputy MLRS (“DMLRO”). The AMLCO appointment can be held with either (both not both) of the MLRO or DMLRO appointments. Where funds seek to accept cryptocurrencies as a payment mechanism for subscription proceeds, they can expect to see push back on the performance of investor KYC and due diligence from the external administrators, who have traditionally performed these roles. 46. The Cayman Islands has adopted regimes that provide for: (a) the automatic exchange of information for tax purposes; and (b) the establishment of a platform on which beneficial ownership information of “in-scope” companies must be maintained (this is unlikely to include the identities of ICO token holders) and comply with all relevant requirements on an initial and ongoing basis. All Cayman funds need to ensure compliance with all relevant requirements of these regimes. Third party service providers are available to assist with these compliance measures. 47. Cayman, like many jurisdictions, has a regulatory and licensing regime that applies to “money services businesses”. The Money Services Law (2010 Revision) regulates “money services businesses” in the Cayman Islands. Such businesses include the business of providing (as a principal business) money transmission and currency exchange. The Money Services Law is unlikely to apply to most ICOs or funds investing in cryptocurrencies and blockchain technologies. However, the use of cryptocurrency and tokens as a means of payment requires investment managers to consider the potential application of this law. 48. Cayman’s Electronic Transactions Law (2003 Revision) provides much latitude for new blockchain technologies. Electronic documents, contracts and signatures are admissible in Cayman. 49. Directors of CIMA-regulated entities need to be registered with CIMA pursuant to The Directors Registration and Licensing Law (2014). Basic information must be provided to CIMA via an online portal and an annual fee must be paid by the director personally. 50. Finally, cryptocurrencies are relatively new and the regulation of crypto assets and blockchain technologies is a rapidly evolving area of law globally. In this, context the Cayman Islands is more likely than most jurisdictions to ensure that it continues to create a flexible regulatory framework to respond to market demands. 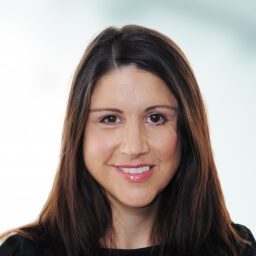 Gaela Fitzgibbons, Of Counsel, is a member of the Investment Funds team in the Cayman Islands, where she specialises in the formation, operation and restructuring of alternative investment funds and vehicles, including trusts, partnerships and Cayman companies.